Looking to hire a machine? Our carpet cleaners are available in Auckland, Wellington, Christchurch, Dunedin, Hamilton and every other town in New Zealand. Use our free cost calculator to see how much hiring a Rug Doctor can save you money! See for yourself now. 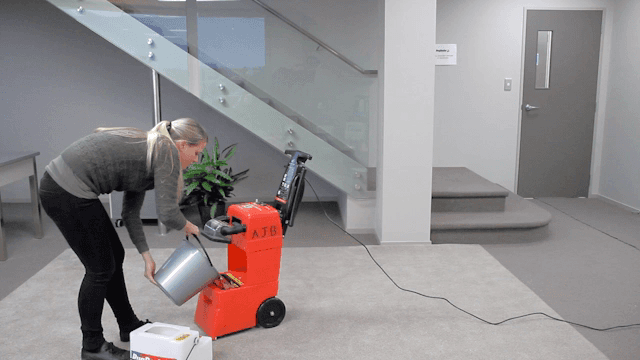 With over 38 years of service to New Zealand families and businesses, our carpet cleaning machines are perfect for carpet and upholstery cleaning especially when it comes to carpet stain removal. Rug Doctor is the carpet care expert and a trusted kiwi brand. Powerful, compact, easy to use carpet cleaning machines. Friendly, helpful customer service hotline anytime there's a question. Regularly maintained to make sure each hire machine is in peak condition. Professional cleaning products for a better, longer lasting clean. Convenient Rug Doctor carpet cleaner hire locations nationwide. Rug Doctor offer carpet cleaning prices that can’t be beat! "What a fantastic machine I found the Rug Doctor to be, the carpets and upholstery came up great. Just in the lounge suite alone, I didn't realise how much dirt there was. Everything looks like new again."